Combines movement, balance and breathing. 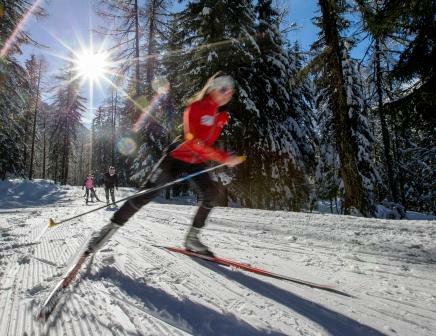 Practices on groomed trails, Nordic skiing procures sensations of liberty and well being. 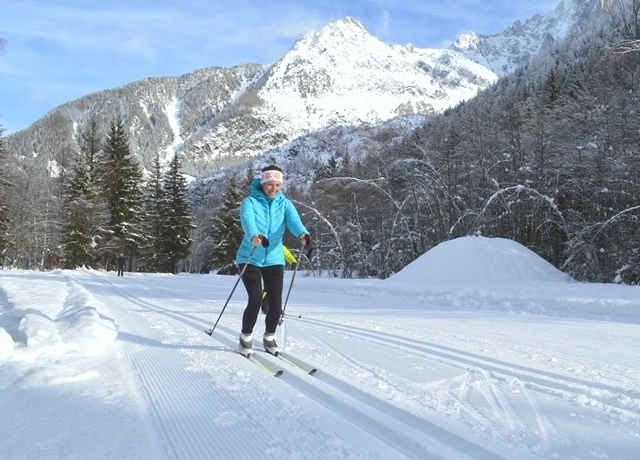 Often appreciated by endurance athletes (triathlon, trail runners, and mountain bikers), Cross Country Skiing also appeals to fans of other alpine sports, looking to try something new. By it’s low impact nature it is also a great alternative to skiers who are no longer able to continue with downhill skiing due to knee injuries. 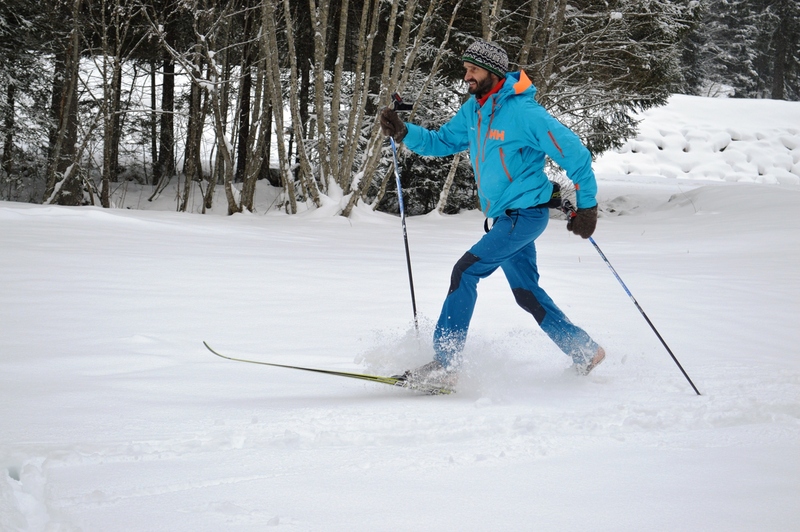 We offer Cross Country Skiing lessons to all levels of ability on trails adapted to all competences. The different movement and technics of the two Nordic disciplines «classic and «skating» will be broken down and fully explained during the course of our lessons. The close proximities of the Val d’Aoste (Italy) permits us to regularly Cross Country Skiing in the beautiful Val Ferret . 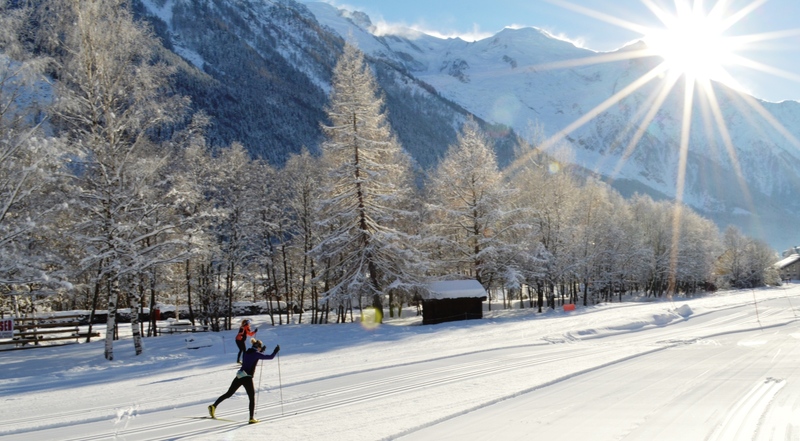 Our clients greatly enjoy a day of cross country skiing at the Italian side of the Mont-Blanc (Courmayeur) and get to sample the local Valdotaine culinary delights in the charming and cosy restaurant Lavachey.